The Occupational Safety & Health Administration (OSHA) is a part of the U.S. Department of Labor. Prior to the formation of this agency, workers in America often faced unsafe workplaces. This is because there were no laws or regulations on the books that required employers to ensure the safety of their employees. Employees were essentially told to either accept the dangerous work environments or go find another job somewhere else. Unfortunately, many jobsites were equally dangerous, which put employees in a difficult position. In 1970, President Nixon officially signed the OSHA Act with the intent of helping to bring about safety improvements in workplaces across the country. While OSHA has grown and changed significantly over the years, it has always been an effective agency for bringing about positive change for employees. The OSHA Act provided the agency with the ability to oversee most types of private sector employers and certain public sector employers. OSHA had authority in all fifty states plus several U.S. territories that fell under federal authority including the District of Columbia, the Virgin Islands, Guam, American Samoa, Northern Mariana Islands, Johnston Island, Wake Island, and the Outer Continental Shelf. One of the most compelling facts about OSHA is just how effective it has been over the years. When the agency was just starting out, the National Safety Council estimated there were 38 workers who died on the job every day of the year, on average. Today, the Bureau of Labor Statistics finds there are an average of 12 worker deaths per day. While even one worker death is too many, it is clear from these numbers that the efforts of OSHA have been effective. The average daily deaths in the workplace have dropped by more than half. To make this number even more impressive, keep in mind that the total number of people in the workforce has more than doubled in this same time period. As OSHA will freely state, there is still a lot of work to be done, but these results demonstrate that having standards and regulations for employers is essential for workplace safety. 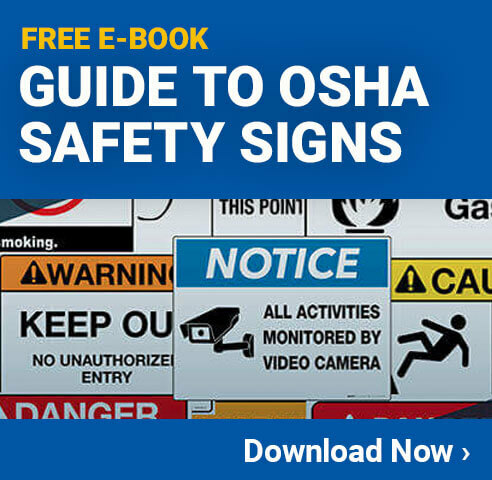 Learn more about how effective OSHA's workplace safety efforts have been in this video. In addition to directly overseeing employers, OSHA has also developed officially approved state plans. These plans exist in 22 states and territories and work as an arm of the federal OSHA agency, but they are run by the state where they operate. All state-run plans must meet or exceed all OSHA safety requirements. One of the biggest changes OSHA has made over the years is that they now partner with employers, rather than just inspecting and enforcing requirements. While OSHA makes the requirements that employers must comply with, the goal is to ensure safety rather than to just find infractions. OSHA works hard to make itself available to companies throughout the country. Companies can ask questions about how to get in compliance, request training, and generally seek to benefit from the time, information, and other resources that OSHA has at its disposal. This effort of partnering with employers rather than simply inspecting them is proving to be a very effective way to improve the safety at many facilities. One of OSHA's best sets of facts is the fatal facts program, which began in 1984. This program covers information about workplace deaths, including details about how the deaths occurred, any citations that were issued, and what could have been done in the workplace to prevent the deaths. This information can be used by other facilities to learn from the mistakes of other companies and work to avoid them. 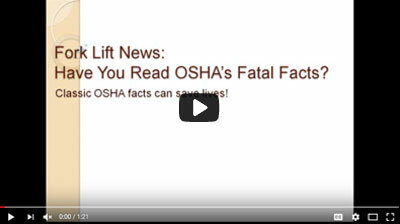 For an overview of the OSHA Fatal Facts program, watch this video. Another interesting fact about OSHA is why it performs inspections. This agency inspects thousands of facilities per year for a wide range of reasons. Looking at the listed reasons for inspections can help provide insight into what types of things OSHA looks for. For the fiscal year 2006, the federal OSHA agency conducted a total of 38,579 inspections. 19.1%, or 7376, of these inspections were triggered because of a complaint or an accident that occurred at the facility. This shows that quite a significant number of inspections are only done because of a problem or incident. Any company looking to reduce the number of inspections should focus on improving safety. 55.7% (21,504) of the inspections are conducted at companies that are targeted because of higher-than-normal hazard risks. It is no surprise that certain industries are far more dangerous than others. For example, someone working in a mine is at significantly greater risk than an office worker. Consequently, OSHA tends to target these industries at a higher rate. 25.1% (9699) of the inspections conducted by the federal agency were due to referrals or follow-ups. OSHA often completes an inspection, provides the facility with a list of improvements that need to be done, and then comes back at a future date to ensure the improvements have been completed. The length of time given will depend on the severity of the risk, the industry, and other factors. 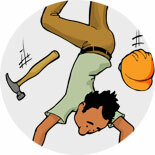 Falls are the number one issue in the construction industry with 359 out of 899 construction deaths attributed to a fall. This includes falls from ladders, falls from construction equipment, and even slip and fall accidents. Providing employees who are working at heights with fall prevention harnesses and other related personal protective equipment is a great first step toward preventing these types of accidents. 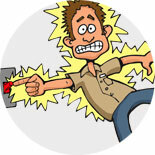 In 2014, there were 74 deaths from electrocution in the construction industry. Construction workers often have to work with high voltage equipment and they also frequently run wiring. Just because the employees are regularly working around electricity, however, does not mean there is nothing that can be done. Having the right personal protective equipment and making sure everyone wears it whenever in risky areas can help to dramatically reduce the risk of electrocutions. 73 people died at work because an object struck them. The simplest example of this type of accident is someone dropping an object from a high height that hits someone who is working on the ground. Wearing hard hats is an important first step to avoiding these kinds of accidents on construction sites. 12 people died in 2014 by getting caught between something. This is sometimes known as being caught in a pinch point. 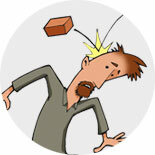 It can occur when someone is working around a moving vehicle and a hard wall or other heavy equipment. Making sure people are aware of the risk by using safety signs or floor markings is a useful OSHA recommendation for minimizing the risk of this type of event. Whose Responsibility Is Workplace Safety? OSHA makes it clear that while it is there to help provide guidance (and citations when necessary), it is really the responsibility of the employer and the employees to create a safe workplace. One fact about OSHA that many people don't know is that it actually lists specific responsibilities that employers have and rights that employees have. Employers are required to inform all workers about any hazardous chemicals used in the facility. Part of this includes using pipe markings, safety data sheets, and more. Safety training must be provided to employees who work in roles known to be dangerous. Employers must keep an accurate record of all accidents, injuries, illnesses, and fatalities that occur. These records need to be submitted to OSHA in many circumstances. Scheduled testing for air quality and other potential hazards is required. Any personal protective equipment that is needed to keep employees safe at work must be provided at no cost to the employees. OSHA can require employers to provide hearing tests to employees. All OSHA citations that an employer receives must be posted annually in a location where employees can see them. OSHA must be notified of any workplace fatality within eight hours. They also must be notified within 24 hours of any work-related event that causes an employee to become hospitalized. The "OSHA Job Safety and Health - It's the Law" poster must be prominently displayed in the workplace. OSHA requires many other things of employers as well, but these are some of the facts that many employees aren't aware of. Employees are entitled to working conditions that do not have a risk of serious harm. 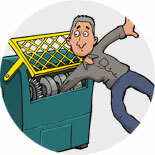 All employees have the right to file a complaint with OSHA to have a facility inspected. This complaint can be filed confidentially. Employees have the right to be properly trained on all known hazards, including strategies to reduce the risk. Employees have the right to be trained in a language that they understand. Employees have the right to have copies of all records of work-related incidents including injuries and illnesses. Employees must be allowed to be a part of any OSHA inspection and they have the right to speak to the investigator in private. Employees cannot be retaliated against by the employer if they submit a complaint or report something to OSHA. Temporary employees must be treated the same as permanent employees in terms of safety standards.